Cosmogonie is a short puzzle/art video game created in 48h for the Ludum Dare #24 (Theme : Evolution). It ended as 1st in the Audio category (5th in Mood and 13th in Innovation as well). 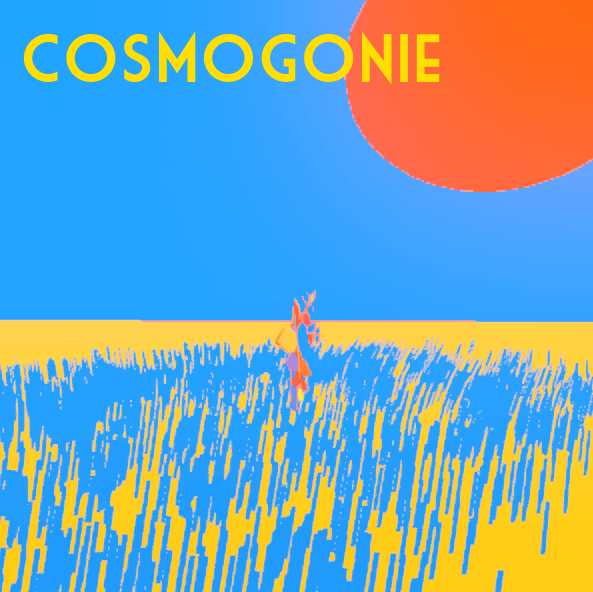 In Cosmogonie, the player has to discover how to use his mouse to go from a scene to the next. When he finds out, the graphics and music progressively shift from simplicity and abstraction to complexity and the depiction of life.